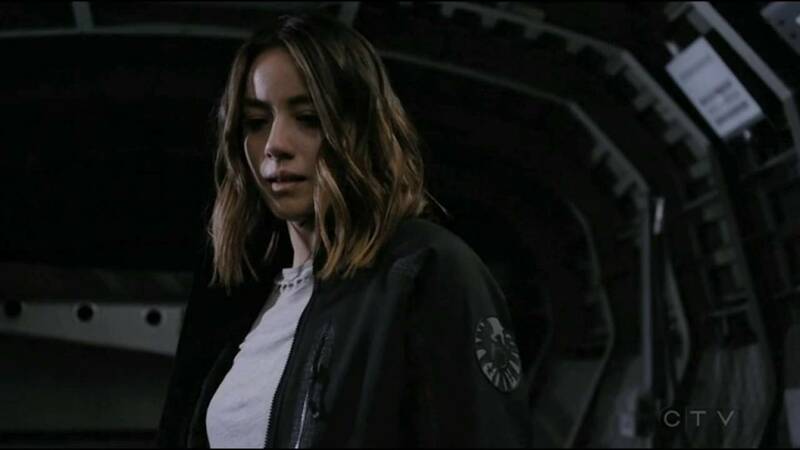 Skye in "Absolution/Ascension". . HD Wallpaper and background images in the Skye (Agents Of S.H.I.E.L.D) club tagged: photo marvel agents of s.h.i.e.l.d. season 3 3.21 3.22 absolution ascension skye. This Skye (Agents Of S.H.I.E.L.D) photo might contain 겉옷, overclothes, 겉 옷, 상자 코트, 박스 코트, 상자 외 투, 잘 입고 사람, 정장, 바지 정장, 잘 차려 입은 사람, 양복, and pantsuit.